Get fast, reliable, and affordable snow removal for your home or business from Royal Oak’s premier landscape maintenance company. The winters in Metro Detroit can be brutal, but at Triple J’s Landscaping, we are ready to take on the harsh Michigan winters! Whether you're a commercial property owner or residential homeowner, having a trusted, experienced snow removal company that you can rely is crucial to winter survival. At Triple J's Landscaping, that's exactly what you can expect. We are a licensed, insured, and independently owned and operated company that has been in business since 2001, servicing Royal Oak, Madison Heights, Ferndale, Berkley, Clawson, Troy, and the surrounding Southeast Michigan area. While our services include both snow removal and salt services, we also pride ourselves on the relationships we build with our customers. That is why we care so much about the quality of work we do. Never will we subcontract our work; we believe our professionals are the best people to get the job done in a timely manner to keep your business, property, or home accessible and safe throughout the winter. Whether it's neighbors or customers, having a clean and maintained driveway, sidewalk, and parking lot says a lot about the owner. We can help give off the perfect first impression! Both homeowners and property owners are liable in slip and fall accidents. We can make sure your property is clean and safe from snow and ice, which will help you sleep better at night. For months, heavy snow fall is a threat. 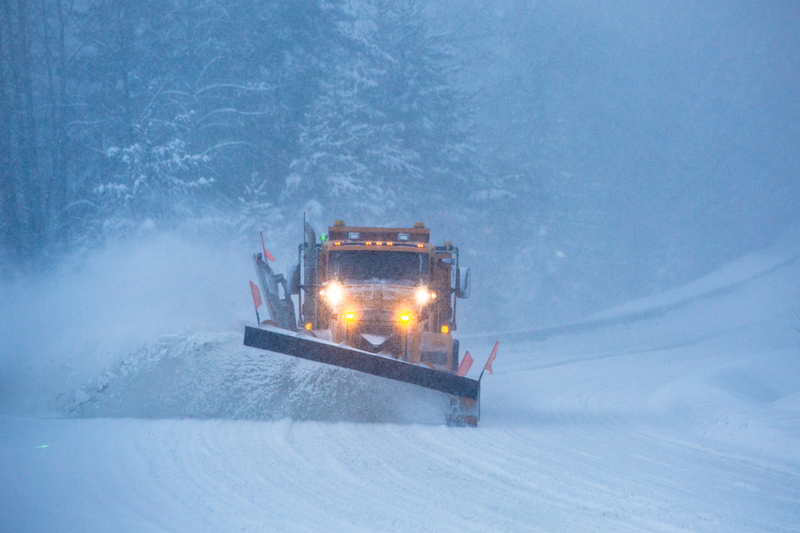 On average, over 40 inches of snow falls on the Metro Detroit area throughout the year! That means business owners, property managers and homeowners have to always be on the lookout for the snowflakes. But at Triple J’s Landscaping, we’re here to help. Let us be that helping hand you need to get your driveway, parking lot and/or streets cleared and salted, giving your property a safe and pleasing appearance to neighbors and customers. 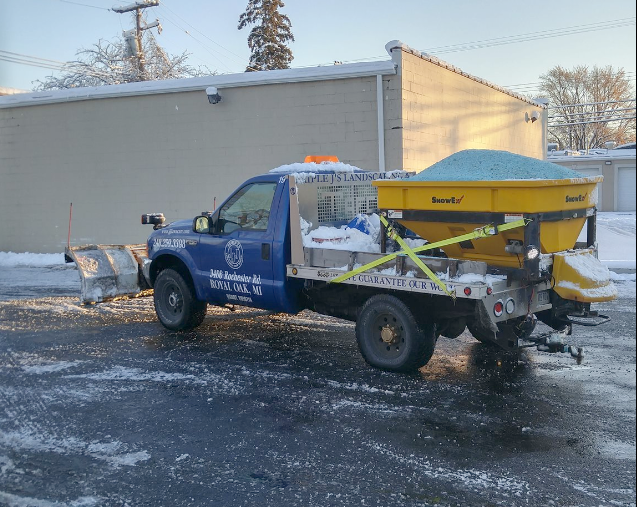 While some may think of snow removal professionals as just a couple people with plows on the front of their trucks, Triple J's Landscaping is much more than that. On top of having our own storefront in Royal Oak, you'll see our fleet of branded trucks and uniformed workers all around the area putting in the blue collar work that resonates with the the region.